When it comes to renting large format LED backlit LCD, LCD, Plasma displays and Video walls, touch screen display(17” – 42” – 55”), think NO OTHER than ECR RENTAL. ECR not only carries the largest and broadest rental inventory of LED, LCD and plasma monitors, Rentfusion also has the most experienced and qualified staff on site at each national trade show to ensure that your event goes flawless. 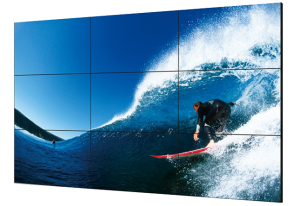 ECR Rental offers various options for mounting the rental plasma, and LED & LCD displays.